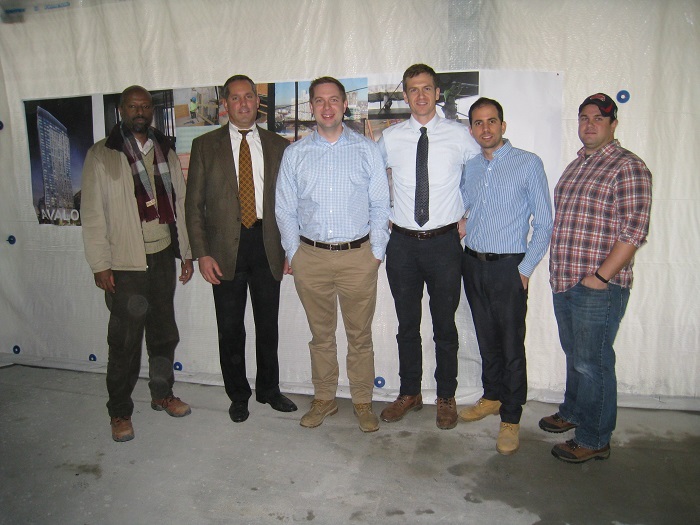 12.09.15 On December 2, LeMessurier attended the topping off ceremony at the Avalon North Station project. Present from LeMessurier were Bill Lovallo, Ben Hagos, Michael Gryniuk, Ian Neill, Alex Ojeda and Mike Cole. The CBT-designed residential tower tops out at 38 stories and is over 415 feet tall. The building is scheduled to open at the end of 2016.